Our holidays in south west France have been some of our most memorable. We’ve been visiting this secluded corner of France for years and for good reason. This incredible sun drenched coastline is famed for it’s pumping surf and endless wild sandy beaches. Whether you’re making the drive down from Bordeaux or flying into glitzy Biarritz, there’s loads of activities to keep the kids happy without spending a fortune. Here’s a round up of outdoor adventures we got up to on our visit out of season, this October. 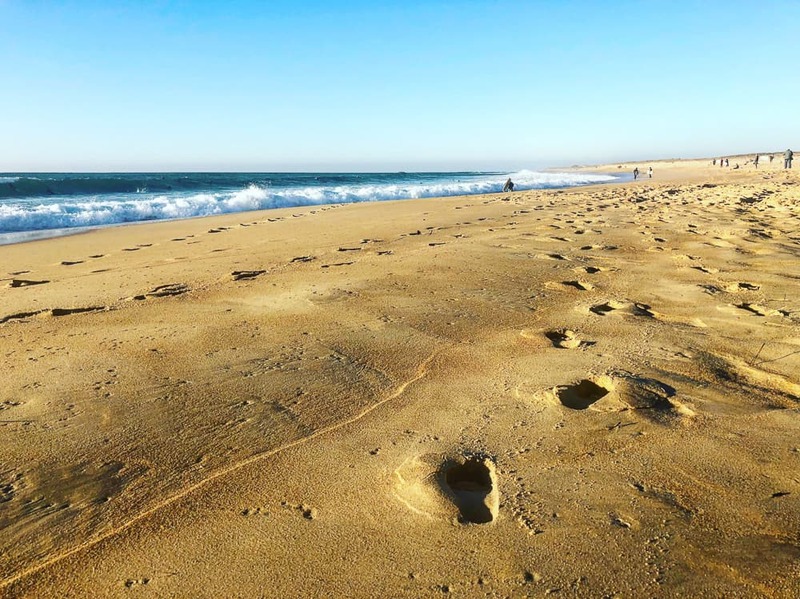 One of the best things about the South West coast of France are the incessant beautifully sandy beaches that literally stretch as far as the eye can see. This Côte Sauvage (wild coast) starts from Hossegor stretching North all the way up to Bordeaux. One of the things we love about this area is that you can spend days on the beach entertaining ourselves for free. Walking the dog, jumping the waves, collection shells or if you’re a good enough surfer, catching waves. Note this section of coast has tremendous currents so we never let our girls swim here or get too near to the strong waves. The sunsets here are legendary, whilst out of season there’s nothing better than a wild blustering walk along the crashing ocean to make your soul sing. We can fully recommend staying at the camper van campsite at Seignosse – it’s super cheap with pitches under shady fire trees (perfect for hammocks) and has good facilities (although no showers – so if you’re in a VW campervan dip in the sea or ‘visit’ the more expensive campsite right next door). It’s also crucially a mere 10 minute cycle from the beach. 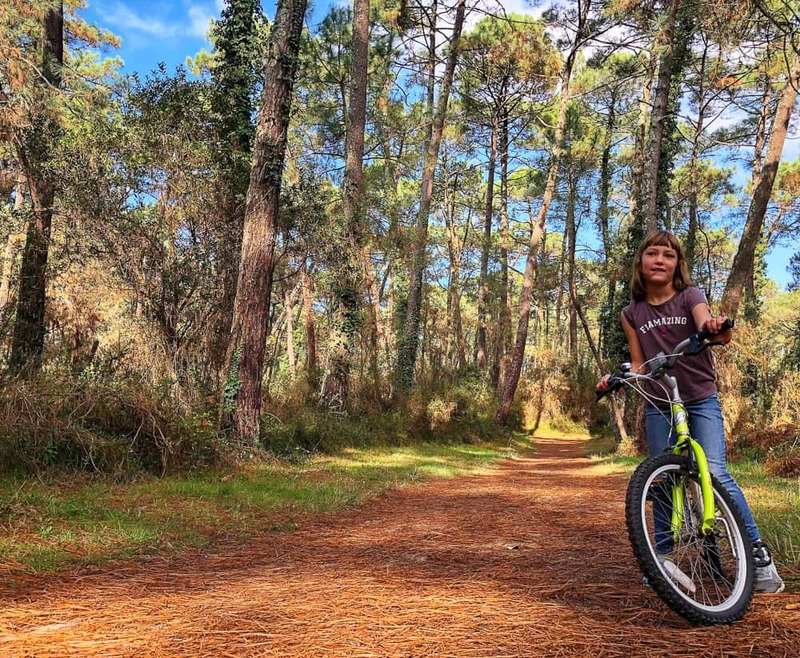 The Landes pine forests which back the stretches of sand along this coast are now iconic to this area, and perfect for family biking. Few are aware that this land used to be a salt marsh – so wet that locals needed stilts to cross it. Napoleon III gave the order to drain the marsh and plant thousands upon thousands of pine trees to stabilise the earth, commoditise on farming and supply his armies with timber. The Landes Forest is the largest man made forest in Europe and incredibly contributes to making the Bordeaux area ideal for vineyards (by acting as a wind barrier & increasing heat to the vineyards). There are many bike trails along the coast through the forest. We enjoyed exploring the Fôret du Pignada, at La Barre, near Biarritz, where there are many easy trails interconnecting through the forest. It’s also possible to horse ride through the forest with the equestrian centre based on the edge of the forest. The Roof in Bayonne is an awesome indoor bouldering centre which is perfect for rainy days, bored kids or simply breaking up beach days. 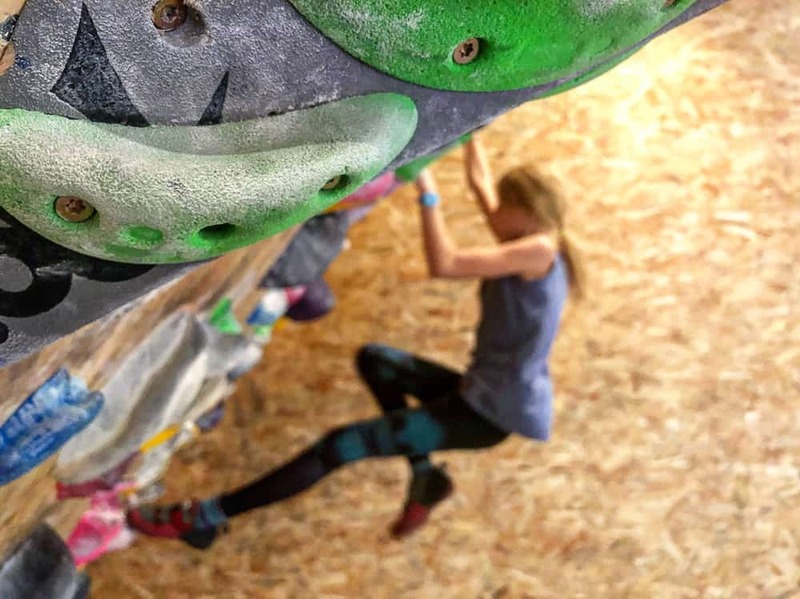 This uber cool centre has countless routes of varying difficulty, a friendly vibe, a great cafe/bar and an under 8’s bouldering corner. We easily spent 2-3 hours here and actually visited three times on this trip! Highly recommended. Whilst Biarritz’s glitz lights up the bay of the city beach Grand Plage between the old port and the lighthouse, immediately north of the lighthouse you’ll find a wonderful little beach named Plage de la Petite Chambre d’Amour. 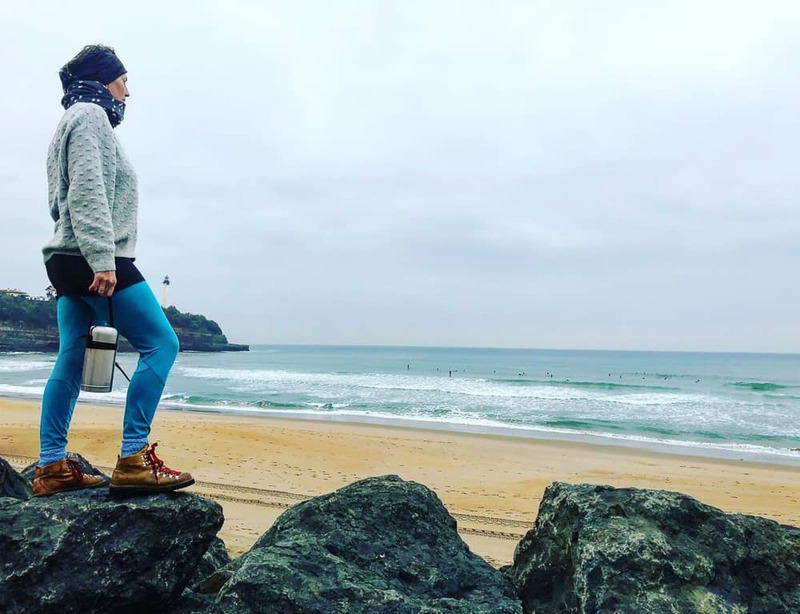 Here it’s possible to escape the crowds (well in the shoulder months anyhow) and find the perfect beach for dog walking, watching the surf and grabbing a coffee. The dramatic cliffs above the Phare de Biarritz hugs the south side of the beach whilst parking and the laid back beach café, Lagunak lay to the North. On the north side of Biarritz’s lighthouse lays the perfect beach! Have you thought about visiting surf haven island Jersey for your next holiday? This corner of South West France is known for it’s epic Atlantic swell. It’s the reason most surf companies’ headquarters are located on this pumping coastline. However, the ferocity of the waves don’t bode well for beginners or kids. 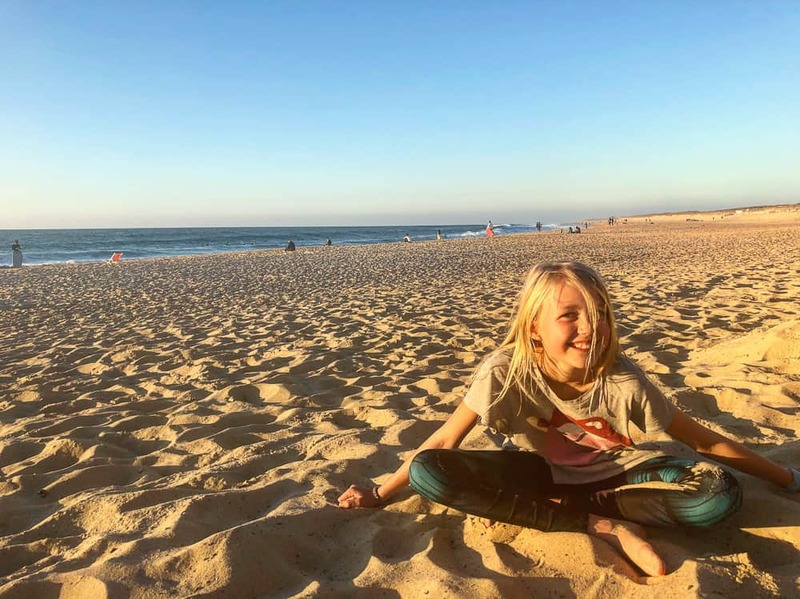 Take heed, don’t try to take your kids in on any of the beach breaks in Hossegor, Anglet or Biarritz. The beaches are dangerous for all but experienced surfers. 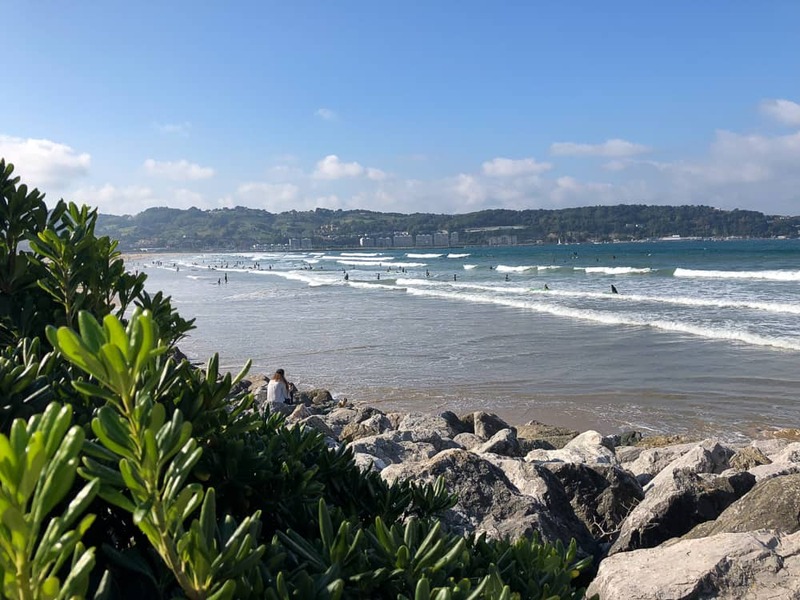 Instead, head 15 minutes past Biarritz to tiny Hendaye (the last bastion of France before the Spanish border) where you’ll find the perfect protected beach with easy safe waves for your kids to enjoy the surf. Hendaye (pronounced EN-DAY) is a perfect for kids to surf. And those hills on the far side – that’s Spain! We’re not the only ones that think that the SW Coast of France is a fabulous destination for adventuring families. Check out the National Geographic’s 7 Spectacular Adventures Along France’s Western Coast. Do you have any tips on holidays in South West France? We’d love to hear them.